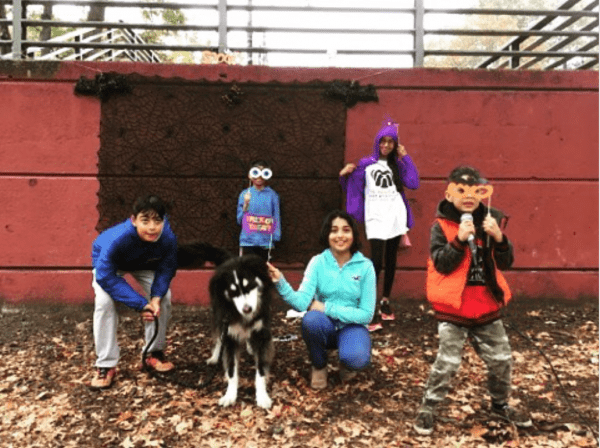 While children get most of the attention on Halloween, Howl-o-ween at the Underbridge Dog Run this weekend is playtime for the neighborhood’s pooches. 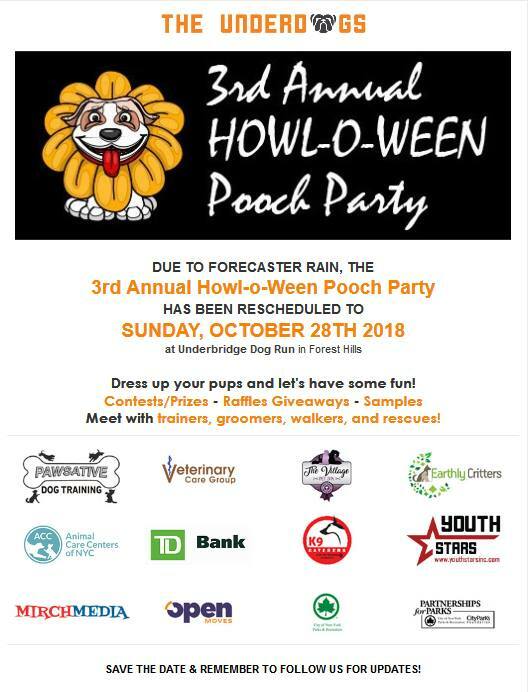 Dogs and their owners are invited to gather at the Underbridge Dog Run, located on the Grand Central Parkway from 64th Avenue to 64th Road, for the third annual Howl-o-ween celebration from 1 p.m. to 6 p.m. on Sunday. Attendees will get to enter their dogs in costume contests, enter into raffles and learn about dog-related services in the neighborhood, such as groomers, walkers and trainers. Rescue dogs will also be on-site to meet their potential owners. “Dress up your pups and let’s have some fun!” a flier for the event proclaims. Attendees are encouraged to give a $5 donation to the organizers, a community park group known as the Underbridge Underdogs, who are working to make improvements to the park. This year, the organization aims to raise funds to install new dog rule signs; improve drainage at the park; adjust the park’s lighting; add more seating; and other projects. The group aims to use the Halloween event as a way to raise awareness of the need for capital improvements at the park, according to the nonprofit. In past years, the group has managed to install new sheds, water bowls, lighting at the park; held cleanups; and made fixes such as filling in holes and painting the bridge and benches in the park. The organization also plans to replace all the fencing at the park in the next year, the group said in a release about the event. The event was originally scheduled on Saturday, although it was moved to Sunday due to the forecast of rain. Great to see these independent dog park groups step up to the plate. It’s a shame that the complete neglegance of NYC Parks Dept necessitates the need to do so in the first place though. These dog-hating Parks Dept boro comissioners really need to get a clue and realize that dog parks are worth the investment for the communities they serve, instead of just telling us to be grateful for granting dog owners an underutilized mud patch that they take no responsibility for building or maintaining.